The launch of a new cruise ship is always a big deal, but the debut of Norwegian Bliss is shaping up to be an event no one will ever forget. 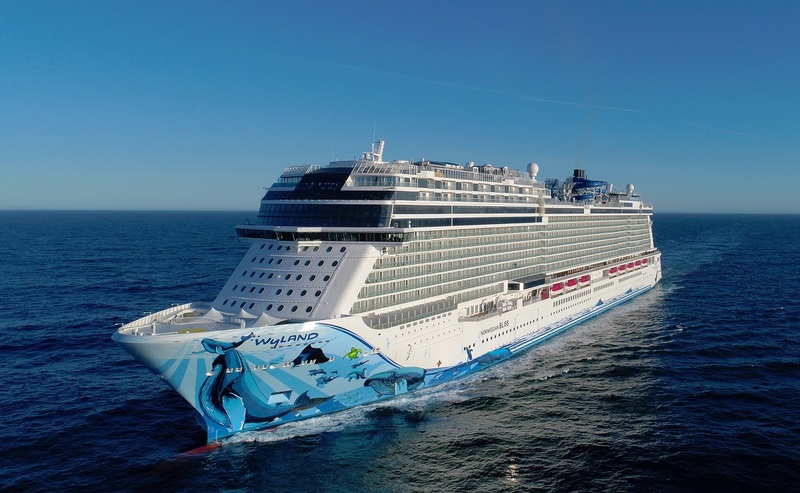 Norwegian Bliss, the 16th ship in the Norwegian Cruise Line fleet, was unveiled to the public in New York City last week, giving New Yorkers a first-look at the massive marine wildlife mural painted on the hull of the ship by Park West Gallery artist Wyland. Park West hosts art auctions and art programming on every ship in the Norwegian fleet, including Bliss, and cruise fans are already raving about Wyland’s striking mural, featuring his trademark whales. New York was just the first stop for Bliss in its month-long inaugural celebration. Earlier this week, Bliss visited Miami, and it will be stopping in Los Angeles before it’s officially christened in Seattle on May 30. Bliss will initially be offering cruises from Seattle to Alaska, but will eventually be traveling to the Caribbean, the Bahamas, and Florida. During Bliss’ preview cruise in Miami, it was visited by celebrities like Discovery Channel’s Alex Vega, acclaimed radio personality Elvis Duran, and the ship’s very own hull artist Wyland. But Wyland didn’t come alone. 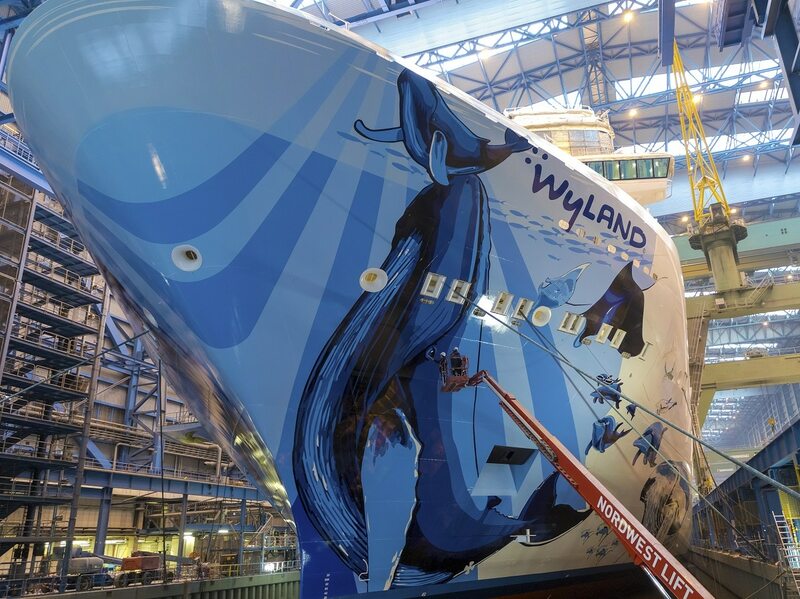 Wyland was joined by his fellow marine wildlife artist Guy Harvey, who created the hull art for another Norwegian ship—Norwegian Escape. Guests got to watch the two legendary artists collaborate live on a triptych work that will be completed during Bliss’ Los Angeles inaugural. 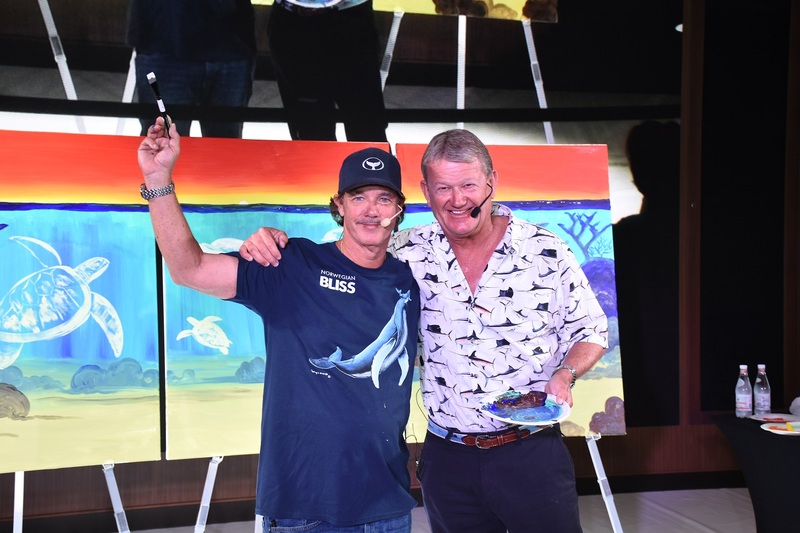 Wyland and Guy Harvey pose in front of their in-progress triptych on Norwegian Bliss. 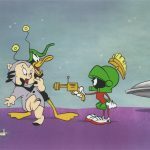 The final artwork will be auctioned off and a series of limited editions will be created from the original. All proceeds from the triptych will be donated to the Guy Harvey Ocean Foundation to further studies in marine conversation. Katherine Moreno from Park West’s onboard Art Team feels that an artist like Wyland is an ideal fit for Bliss. 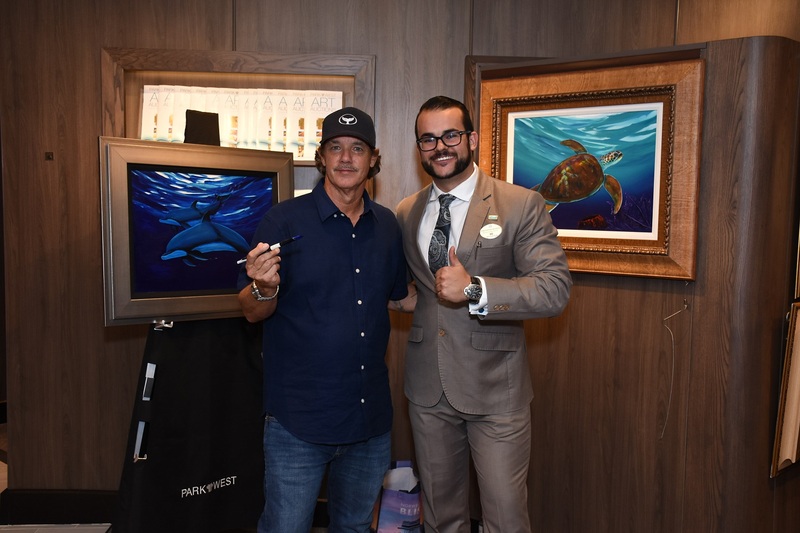 Works created by Wyland will also be featured in the ship’s onboard art gallery. Norwegian Bliss will embark on its first official voyage to Alaska on June 2, giving Wyland’s whales their first chance to swim alongside their real-life cousins. When they’re not appreciating the views—either outside or on the hull of the ship—guests on Bliss can enjoy sparkling new facilities, impressive fine dining options, Broadway shows like “Jersey Boys,” and a two-level go-kart track on the ship’s top level. You can learn more about Norwegian Bliss here. If you’re interested in collecting the art of Wyland, contact our gallery consultants at (800) 521-9654 ext. 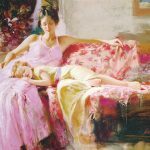 4 during business hours or sales@parkwestgallery.com. Love it! Can’t wait to see it in a week. Had a great time from Miami through the Panama Canal and up to LA. Chris was and his team were incredibly helpful. Bought some great works from Harvey, Max, Wyland, and Godard. Incredible time!